Disgusting. Embarrassing. Pitiful. That’s just a few words to describe the way the Tampa Bay Buccaneers defense performed Sunday. The Buccaneers allowed six touchdown passes to Chicago Bears quarterback Mitch Trubisky. Coming into the game, Mitch had only thrown for 9 career touchdown passes. Nine. Let that sink in for a moment. Tampa also allowed Mitch to throw for a career high 354 passing yards. Tampa Bay constantly had blown coverage assignments, mismatches with the Bears wide receivers, and awful tackling. In fact, the best tackle I saw during that game came when Buccaneer right tackle Demar Dotson tackled Khali Mack to avoid him sacking Jameis Winston. This is unacceptable. After the loss, Tampa Bay coach Dirk Koetter “We should fire everybody that was on that field today, starting with me. That was horrific.” After being down 38-3 at halftime, Koetter made the decision to turn the offense back over to Jameis Winston and has named Winston the starter going forward. Tampa Bay falls to a record of 2-2 on the season going into their bye week with lots of questions. Is Tampa Bay the team that started off hot at 2-0 or are they the team that has no answers for an opposing team’s passing offense? Tampa Bay currently is on pace to break the single season record for most points allowed in a season which is 533 points. Tampa is on pace to allow 556 points. The bye week could not come at a better time for Tampa Bay. In Mike Smith’s 36 games as Tampa defensive coordinator, Tampa Bay has given 400+ yards 19 times. His defense has given up 30+ points 13 times. Coach Koetter is on record saying he will retain Mike Smith but could that decision ultimately cost Coach Koetter his job? 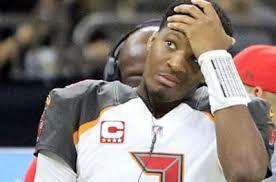 They will need to figure it out as Tampa will travel to face their NFC south rivals the Atlanta Falcons. This week’s player spotlight will focus on the one player who performed well on Sunday, the punter Bryan Anger. Anger was called upon five times Sunday posting a 40.0 average on his punts including one punt inside the 20 yard line. 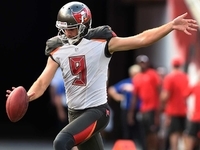 Anger was selected in the third round, 70th overall, in the 2012 NFL Draft, becoming the highest drafted punter since 1995. Anger signed with Tampa on a one year deal in 2015 and was resigned in 2016 to a 5 year extension.